We are excited to announce our 2nd Annual NW Summit Run – 2018 Edition, beginning in Wenatchee, WA for Mission Ridge’s “Pray For Snow Concert” on November 4th, and circling back to the Nectar Lounge in Seattle on February 16th. 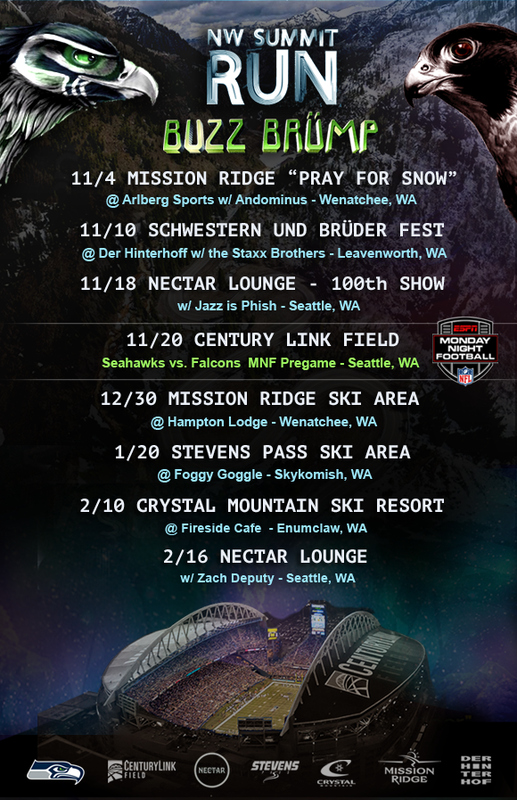 In addition to making return appearances at Stevens Pass, Crystal Mountain and Nectar Lounge like last year, we have some new and exciting shows to keep things fresh. Here’s to a powder filled Winter and we’ll see you out on the Mountain!